One of Century 21 M&M’s largest and most productive offices is in Cupertino, CA. Cupertino is a city in the Bay Area, directly west of San Jose with portions extending into the foothills of the Santa Cruz Mountains. Cupertino is situated in the Silicon Valley, where many semi-conductor and computer companies were founded. The worldwide headquarters for Apple, Inc is also located in here. 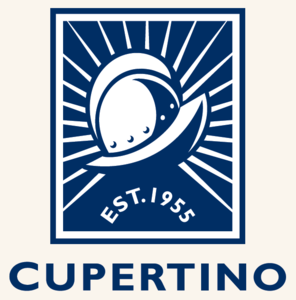 Besides Apple, Inc, the top 10 employers in Cupertino include; Oracle, Foothill DeAnza Junior College District, Hewlett Packard, Cupertino Union School District, ArcSight, Fremont Union High School District, Chordiant and Trend Micro. 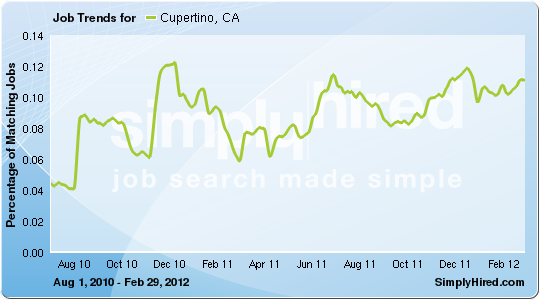 Cupertino’s job market is robust and according to simplyhired.com, the number of jobs filled has increased 137% since August of 2010. Over the years, housing developments were constructed as developers created many neighborhoods, including Fairgrove, Garden Gate, Monte Vista, Seven Springs, Rancho Rinconada and many other developments. The neighborhood of Seven Springs is at the Southern tip of Cupertino and was developed in the 1980s. The newest and most northern neighborhood, Oak Valley, borders Rancho San Antonio Park and was developed around the year 2000. Although originally low-cost housing, Silicon Valley’s housing prices shot up dramatically as many houses that were formerly lowly priced became multi-million dollar homes. The high cost of living in Cupertino is attributed by people wanting their children to receive high-quality schooling. Nevertheless, the price of housing seems to have weathered even the 2007–8 slump in economy. According to Zillow.com, the median home list price is $1,059,000 and the median home sale price is $898,300. 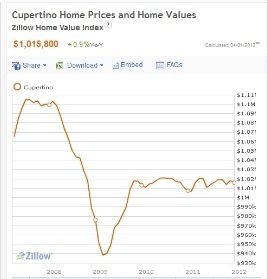 In 2010, according to money.cnn.com, Cupertino’s median family income was $142,490, it’s median age was 40 years old and the reading and math test scores in it’s local schools, were well above the national average. Cupertino’s weather is exceptional with the lowest temp around 40 degrees and the highest temp around 83 degrees. The Vallco Mall, at the center of Cupertino, includes department stores (Macy’s, JCPenney, Sears, etc. ), an ice center, bowling, and an AMC theater complex. It hosts a farmer’s market on Fridays. The scenic Blackberry Farm golf course and ranch is located near Monta Vista High School. The Cupertino Historical Society has an elaborate museum at the Cupertino Community Center, located next to Memorial Park, which houses the Cupertino Veterans Memorial as well as an amphitheater that hosts events such as summer movies and Free Shakespeare in the Park. Contact the Century 21 M&M Cupertino office for any questions or concerns you have regarding the Cupertino Real Estate Market at (408) 725-4000.